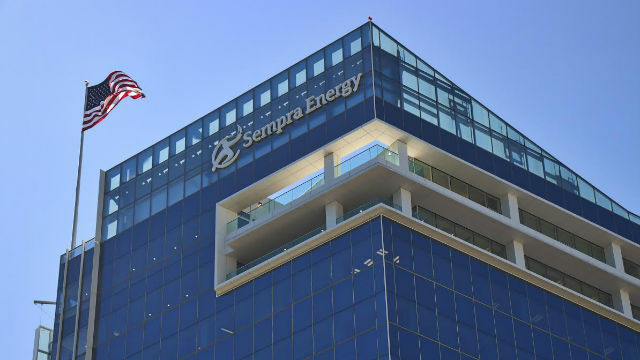 San Diego-based Sempra Energy reported Wednesday third quarter earnings of $622 million, or $2.46 cents per diluted share — up from $248 million, or 99 cents per diluted share, during the third quarter of last year. Sempra’s adjusted earnings in the third quarter were $259 million, or $1.02 per diluted share, according to a company statement. The figures exclude $350 million gain by Sempra’s Mexican subsidiary, a $78 million gain by Sempra U.S. Gas & Power and a $65 million loss related to a planned power plant sale. The company’s earnings for the first nine months of the year were $991 million, or $3.93 per diluted share, up from $980 million, or $3.91 per diluted share, in the first nine months of 2015. Adjusted figures for the same time period were $884 million, or $3.51 per diluted share, this year, down from $931 million, or $3.72 per diluted share, in last year’s first nine months. San Diego Gas & Electric earned $183 million in the third quarter of the year, compared with $170 million in the same time period a year ago, according to Sempra, its parent company. SDG&E recorded earnings for the first nine months of 2016 of $419 million, down from $443 million in 2015. SDG&E’s lower earnings in 2016 were due primarily to a $31 million after-tax refund to ratepayers in the second quarter. The California Public Utilities Commission recently approved SDG&E’s plan for a transmission line connecting the Sycamore Canyon and Penasquitos substations, and a proposal to construct two energy storage projects in San Diego County.